One of the most popular destinations of Thailand, Phuket draws honeymooners, families as well as backpackers from across the globe. It is the largest of the islands in Thailand and is famous for its picturesque beaches. Apart from lounging by the beaches, some of the top things to do in Phuket for the newlyweds include snorkeling, surfing, sunbathing and diving. Krabi is another must-visit island here, with lesser crowd and an unperturbed mood. 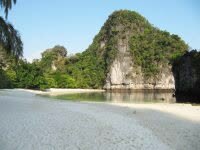 It also boasts of breathtaking scenery of white-sand beaches, exotic wildlife and towering limestone cliffs. 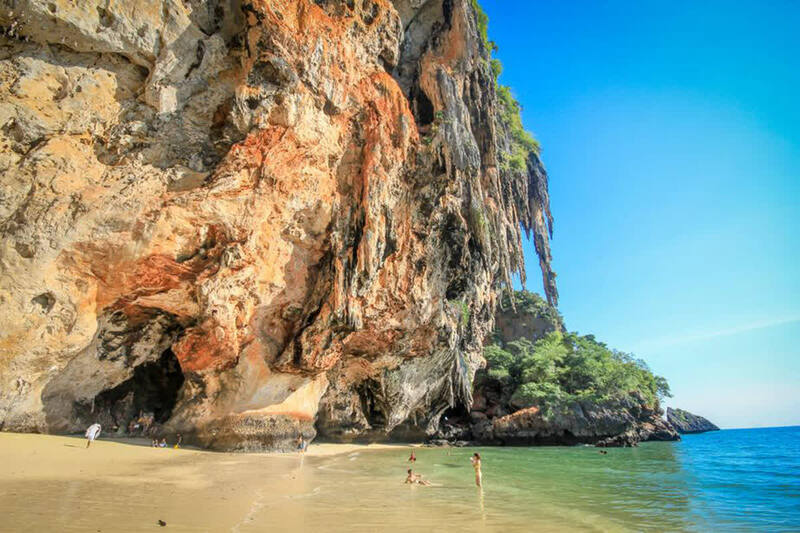 Embark upon this 7-day tour to Thailand and explore the jewels of Phuket and Krabi. On arrival at Phuket International Airport, head to your hotel and check in. The day is allotted for leisure. You can go ahead and explore the breathtaking beaches of Patong and Phuket, where you can indulge in various water sports activities as well. Then return to the hotel and snuggle the night away. Savour a delicious breakfast and proceed for a half-day Phuket city and island tour. You will be visiting the famous Nai Harn Beach, which is a splendid sight to see. Its azure waters and serene atmosphere offer a complete blissful feeling. Also drive through the Rawai Beach, another stunning beach where most of the fishermen reside. Furthermore, head to the sacred Wat Chalong Temple, one of the most important Buddhist temples in Phuket. Drive to Phuket for sightseeing around the city centre, covering one of the key attractions in Phuket – the Gems Gallery. The Sino-Portuguese buildings and sculptures in the city are simply amazing and a treat to the eyes indeed. After breakfast, get ready for a full day Phi Phi Island tour on Big Boat (lunch included). A trip to Phuket would be incomplete without making a visit to these two stunningly beautiful islands – Don (the larger of the two) and Phi Phi Leh. 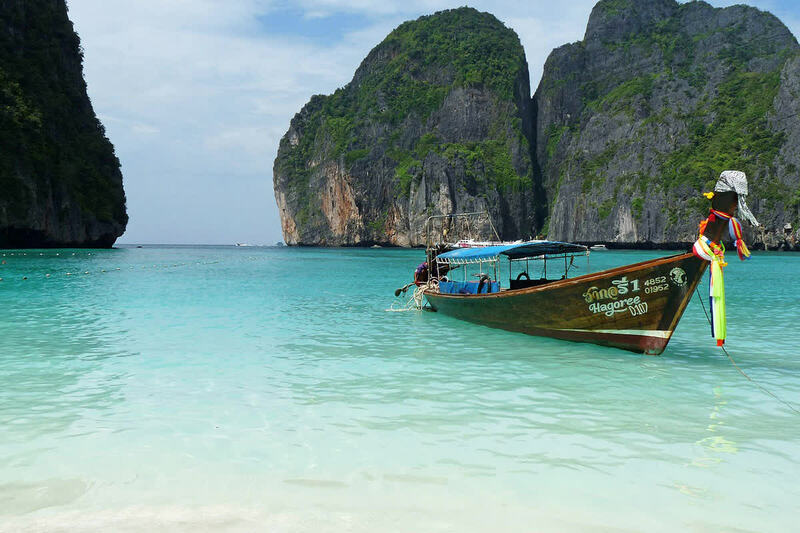 The stunning Maya Beach on the Phi Phi Island was a recent site for the filming of the movie ‘The Beach’. Also, another major tourist centre is Tonsai Bay, a small and bustling village lined with a string of bungalows, shops and restaurants. Have a refreshing breakfast and proceed for a half day tour to Krabi. You will get to visit main attractions of the city like the Tiger Cave, Fossil Shell Cemetery, Krabi town and the Fish Farm. After a filling breakfast, gear up for an exciting island tour to four islands (local lunch and SIC transfer included). 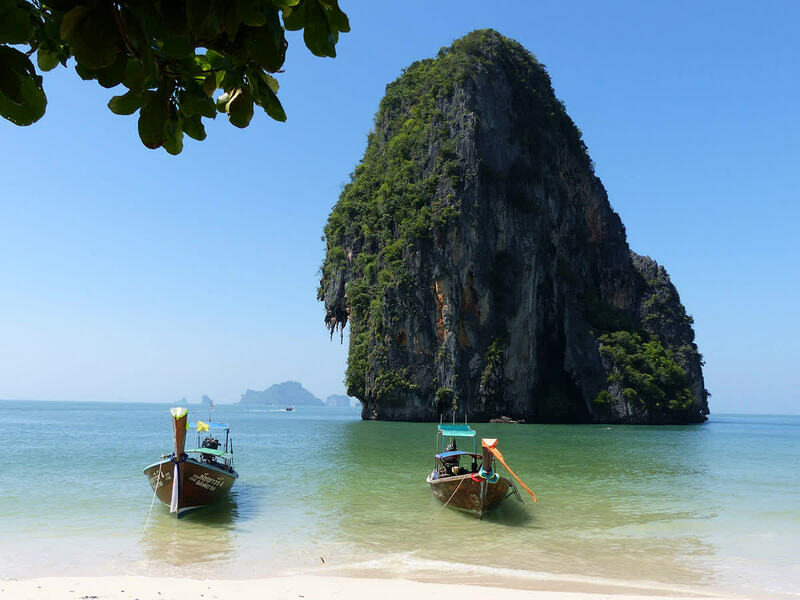 Enjoy island hopping in a traditional long-tail boat on this full-day tour from Krabi. 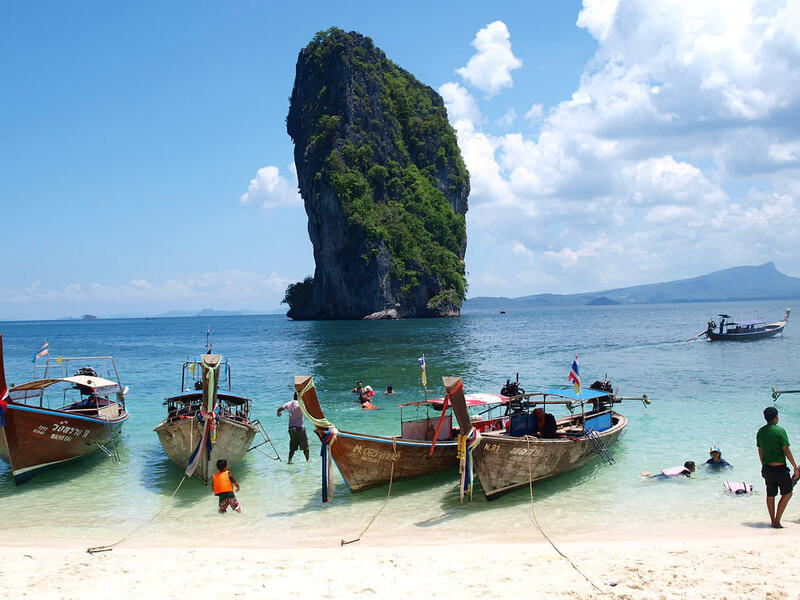 Explore the gorgeous Koh Poda Island, Tup Islets, Phranang Cave Beach and Chicken Island. You can relax and rejuvenate on the pristine beaches and also go swimming in the crystal-clear waters. On the last day of tour, you will get some time to explore the neighborhood and shop for some gifts and souvenirs. In the morning, check out from the hotel and head to the airport for your return journey.